Super-quality healthcare just got a new suburban destination with a touch of luxury and opulence. For the High Net worth Individual (HNI) patient, who demands the best in quaternary medical care, want an aesthetic surrounding and soothing interior design and personalized healthcare services, prominent city-based healthcare player Nanavati Super Speciality Hospital (NSSH) has unveiled several super-deluxe rooms. “We aim to provide the best in-house clinical care with a luxurious touch to our patrons who demand and deserve the best. 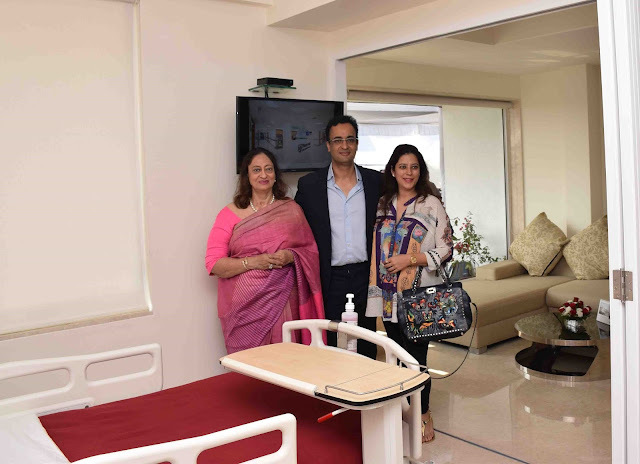 The room designs have a contemporary feel and the décor has been designed to ensure that the patients, get a stay-at-home experience. 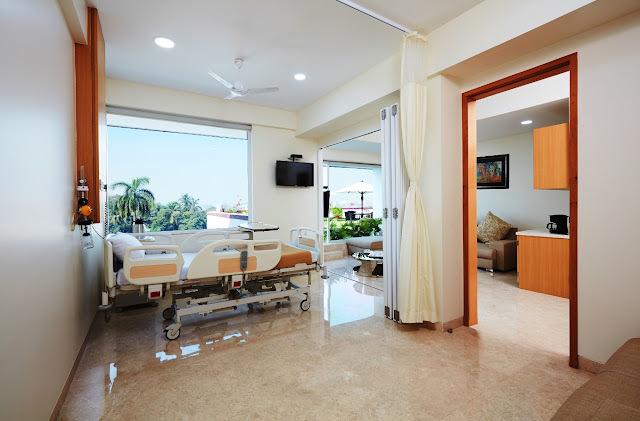 The rooms have also been designed keeping in mind the tastes and preferences of international patients who have been largely flocking to India to seek quality medical care. The whole endeavor has been to create an environment where premium healthcare gets a personalized touch, “stated by Ms. Avanti Pawar, Head Marketing & Business Development. The outlay includes 1 suite, 6 deluxe rooms, 8 premium rooms and 22 single rooms to cater to the well-being and comfort of the discerning patient. The surroundings of the rooms have acquired a natural hue with lush garden terraces outside the rooms lending a calming and relaxed effect to the minds of the patients and their relatives. Patient's relatives will have separate rooms to ensure that their space is not invaded. NSSH is also committed to providing personalized service through dedicated floor coordinators and resident doctors to cater to the patient's medical and non-medical requirements. The added facility of in-room admission and discharges will ensure optimum convenience for patients and their relatives who will not have to run pillar to post.